Project development, machine design and the building of custom abrasive blasting equipment is where our experience really shines. Here at wetblasting.com we are not limited to supplying you with standard off-the-shelf products. If one of our wetblasting machines does not meet your specific requirements we can work together to design a machine suited to you. 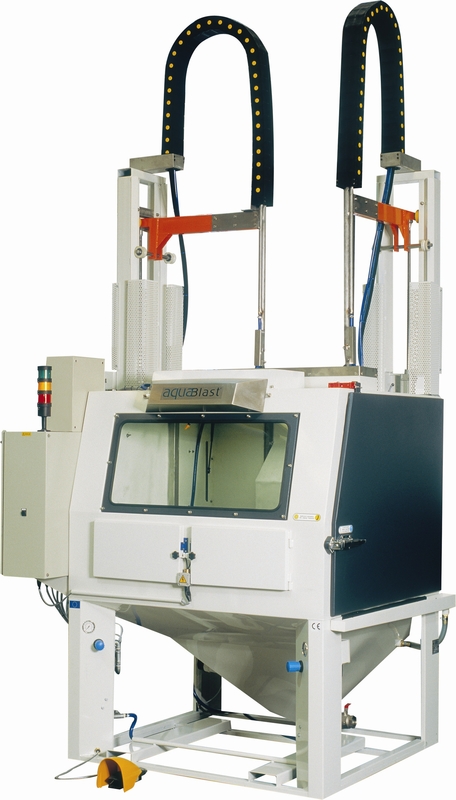 The process to a custom built machine is relatively straight forward. Once we know the main use for the blast cabinet, wetblasting.com can advise the best process, i.e. wet blasting or dry blasting. Once this has been determined, a blasting abrasive suitable to your application can be suggested and your cleaning solutions will be answered. It is important to remember that added extras such as handling rails and lifts can be added to your chosen wetblasting machine to make the cleaning process as easy as possible for you. If you have any questions relating to custom built wet blast cabinets, or you would simply like to find out a little bit more… just ask Rick!